Short Attention Span QuiltingLinda S. Schmidt, Fabric Artist - Welcome! Come into my world, where I firmly believe you can do whatever you set out to do, as long as you have the tools and techniques to get you there. Here at my site, you will be able to see some of my quilts and garments, get an idea of the workshops and classes I teach and the trunk show/talks I give, get a flavor of who I am, read an essay, or find some new things to play with. After wandering around a bit and seeing my work, you might like to have me come speak and do a workshop for your guild, commission a quilt from me, or you might just want to take one of my online classes. My resume is at the bottom of this page if you need more information. I know it might be a stretch, sort of like stepping out onto that unseen bridge in the Indiana Jones Search for the Holy Grail movie, but like my momma says - "If you're not living life on the edge, you just might be taking up too much space." There are several links set up here by which will probably take you to some of the places you want to go; but you never know, you might be stepping off onto that phantom bridge. If you want to see my work and skip the following resume, go to the top of this page and click on a link. If you want further information, or if you would like actual pictures mailed to you, please e-mail me directly at Shortattn@comcast.net . 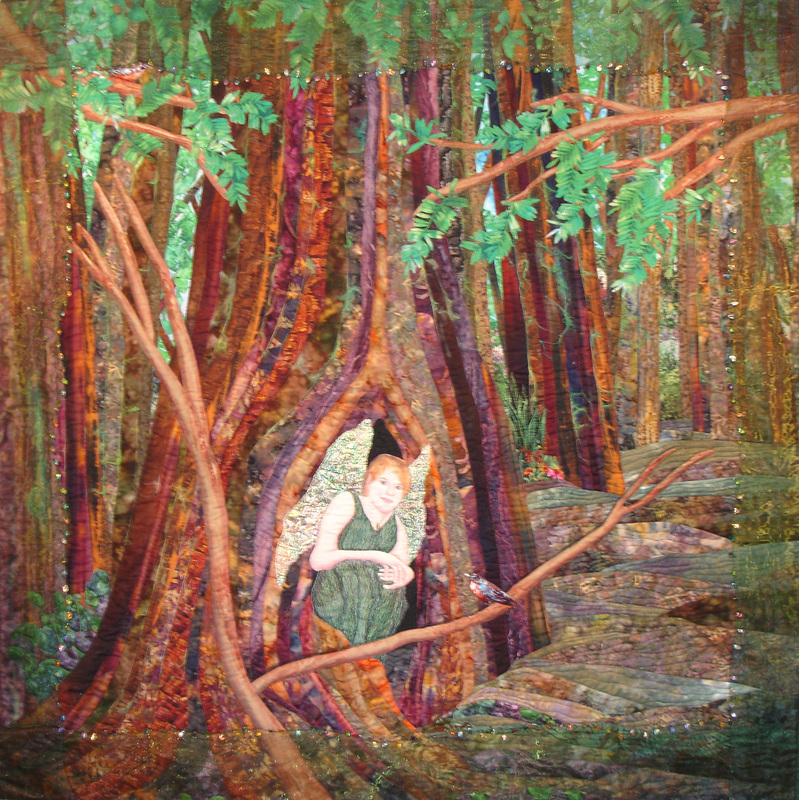 Commission Quilts: I have created commission quilts for several public spaces and private homes. I have created wallhangings for the City of Dublin, the City of Newark, the City of Bray (Ireland), The Villages rest home in Tacoma, and The Pines upscale rehab center in Utah. Three of my pieces are in Alta Bates Hospital, and several are in private homes. If you look in the Commission Work Gallery, you will see photos of these quilts. 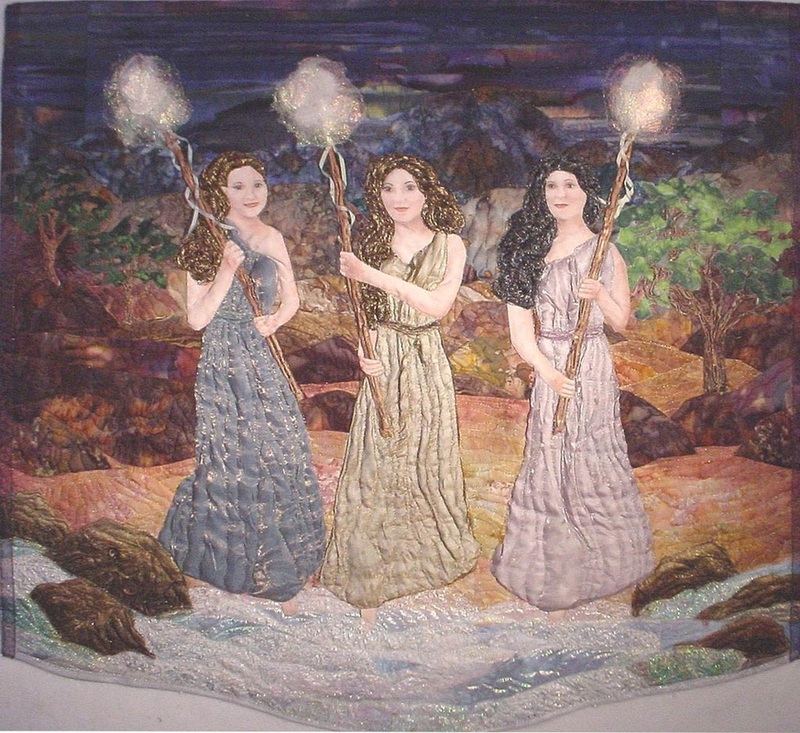 Please contact me by e-mail me at Shortattn@comcast.net directly if you are interested in commissioning an art quilt. 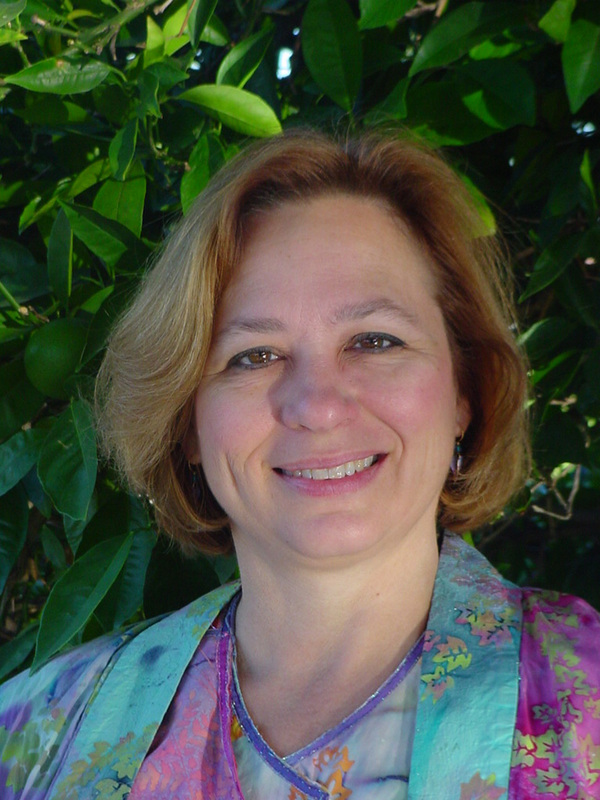 Featured Quilter: I have been a Featured Quilter at many Guild shows, and would be happy to put up a display for your Guild's show, quilts and garments, or just quilts, or just garments. I only charge expenses for this, not a talk or show fee. because the guardians of the land, the Naiads, still spin the moonlight onto their spindles to make the night safe for hunted things. I come from a long line of quilting women and started my first quilt when I was eight years old, have made almost all of my own clothing since I was twelve and have made hundreds of quilts since then, having won over 300 ribbons from local, national and international quilting exhibitions. 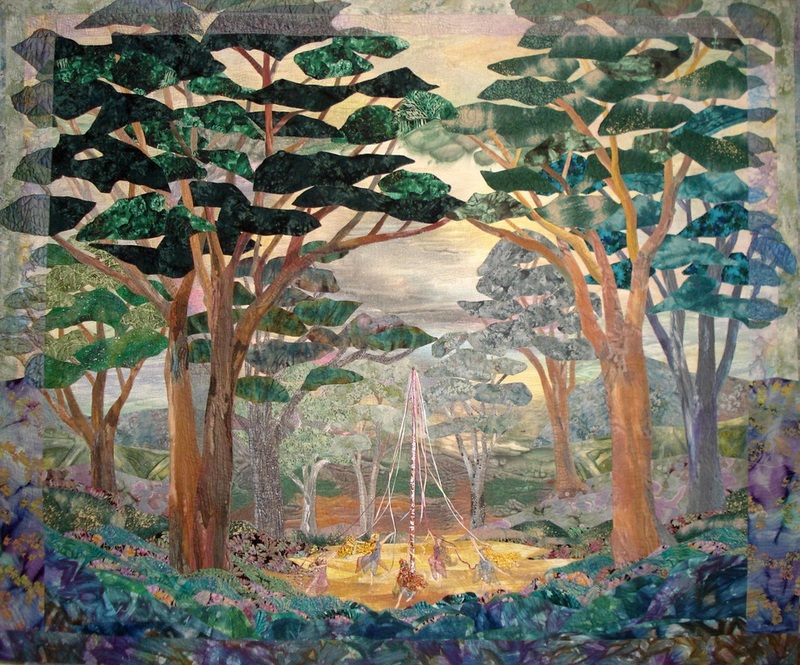 I teach quilting nationally and internationally, do trunk shows with both quilts and garments, am now retired from the City of Dublin after 26 years working there, was a member of the Alameda County Art Commission for six years and Chairman of it for two years. 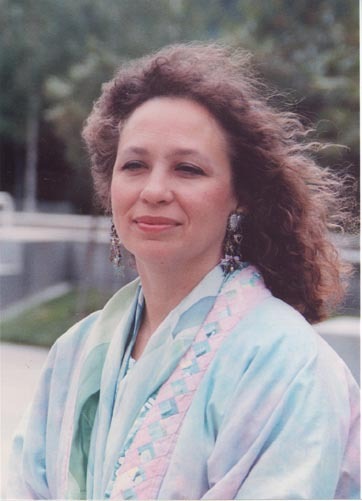 I am a musician, a composer, an active member of Amador Valley Quilters, IQA, and AQS, and was a founding member of the Network for Wearable Art. 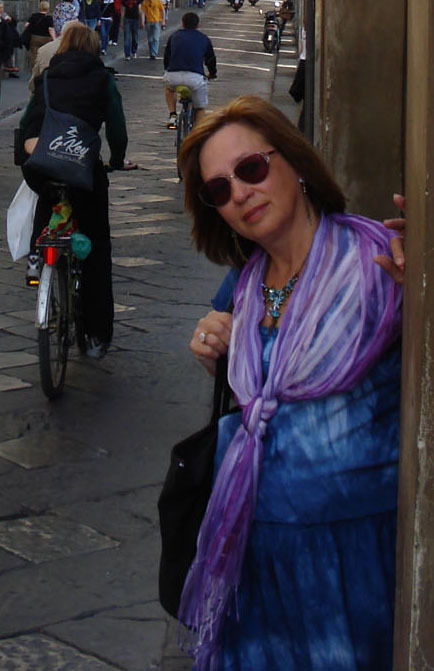 I teach online quilting classes at www.AcademyofQuilting.com, and in my spare time, I write really bad poetry play flute, piano and guitar, read voraciously and have taken up watercolors and Zumba classes. The bottom line is that there is nothing I like better than to talk to people about quilting, unless it is making quilts and wearable art or beading jewelry. I have an eclectic taste in quilts and quilters, an insatiably inquiring mind and a sincere desire to help others learn what they need to know in order to do what needs to be done. So, welcome to my world! 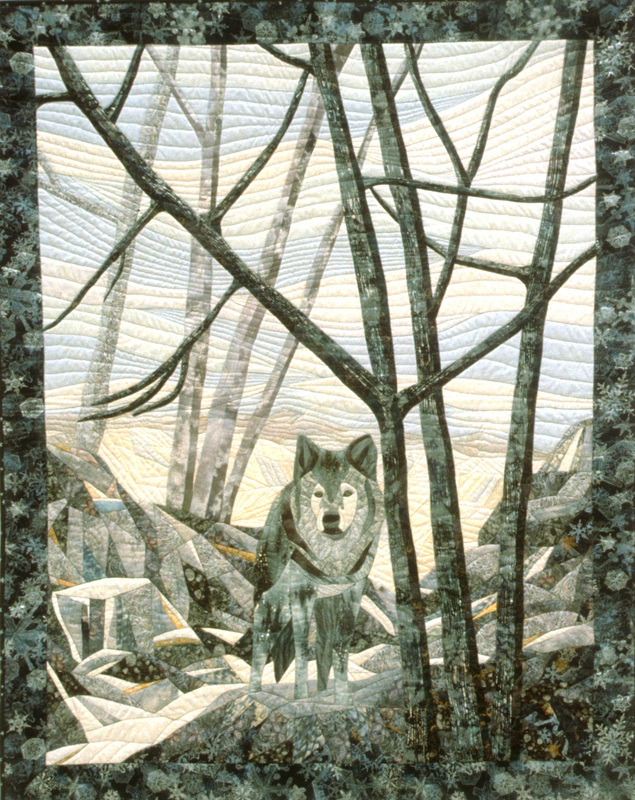 Chosen as Quilting Teacher of the Year in April 2003 by The Professional Quilter Magazine. I have been doing talks, trunk shows, fashion shows and workshops nationally and internationally since 1993, including Patchwork Leman in Switzerland, MEOW, PIQF; North Carolina Quilt Symposium; Minnesota States Quilt Conference; Quilting the Quilt 2002; A Quilter’s Gathering in New Hampshire; Empty Spool’s Seminar; Quilt Colorado, World Quilt & Textile, Mid-Atlantic Quilt Show, and the Denver Quilt Festival, and have been teaching worldwide online at www.QuiltUniversity.com since 2000, and now teach online at www.AcademyofQuilting.com. 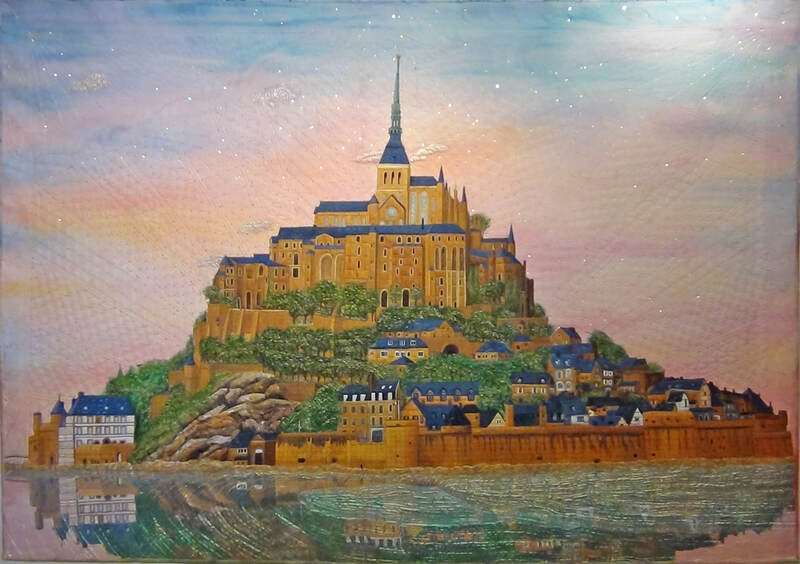 I have judged many quilt shows, including PIQF, Best of the Valley, Denver Quilt Festival, Mid-Atlantic Quilt Festival, World Quilt and Textile, American Quilt Society Knoxville Show, A Quilter’s Gathering, Women’s Guild Art Show, and many others. 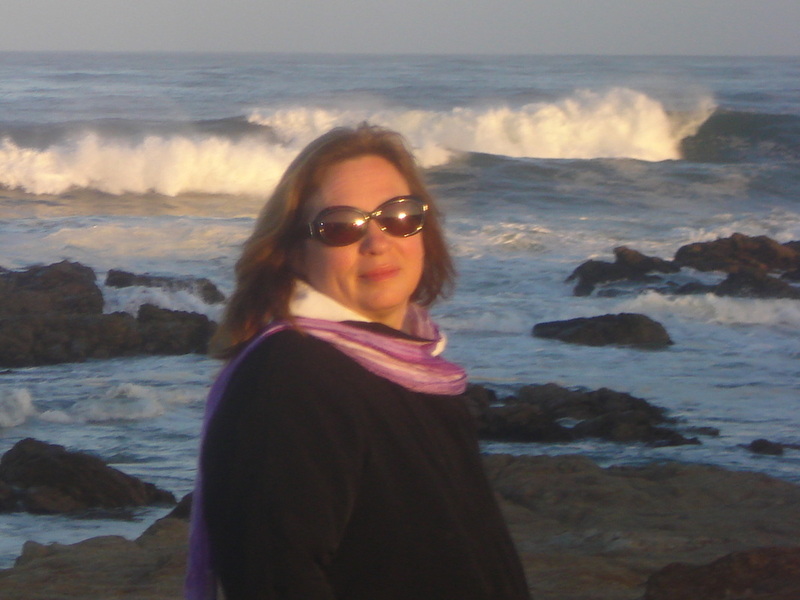 I was a Fairfield Designer in 1994-5 and in 1997-98, a Bernina Designer in 2004 and 2007, a founding member of the Network for Wearable Art, President of Amador Valley Quilters for 1994-95 and 2016-2017, and a member of the Alameda County Art Commission from 1993-1999 and Chairperson of the ACAC for two of those years. I have won over 300 ribbons for quilts and garments, including First Place, Best in Class, Best of Show, Viewer’s Choice & Judge’s Choice in quilt shows and art shows, including the National Quilters Association Show, AQS at Paducah, IQA at Houston, Pacific International, Mid-Atlantic Quilt Festival, Williamsburg Quilt Festival, West Coast Quilters Conference, Pennsylvania Quilt Extravaganza, Road to California, Marin Quilt & Needlework Show, Best of the Valley Show, Fairfield Art Show, Livermore Art Show, as well as in the Miniatures From the Heart and Sulky Thread Challenge traveling exhibitions. 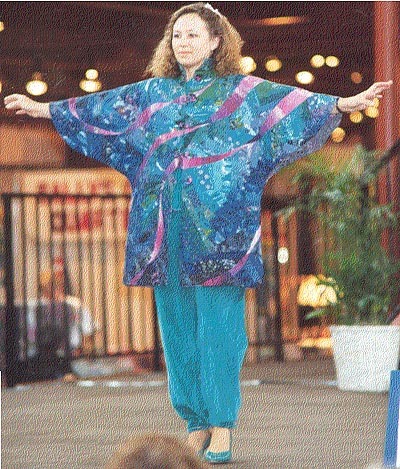 I have had my own one-woman show in many venues, including the Pacific International Quilt Show, the Mid-Atlantic Quilt Show, the Palm Desert Show and the Florida Quilt Exposition. My quilts have participated in special invitational exhibitions such as Skydyes’ “Painted Image;” Joen Wolfrom’s “Landscapes & Illusions;” Paul Pilgrim’s “Challenge;” IQA’s “Prizewinners Exhibition” at Expo V;” Diana Leone’s “Quilts in Bloom” exhibition; Yoko Kitajima’s “Splendid World of Needlework-Celebrating the Wedding” in Japan; “Miniatures From the Heart” traveling exhibition in 2001 and 2002; QNM’s Crossing Boundaries Exhibition; Husqvarna Viking’s “MasterPieces: Spirit and Strength” and “Imagine That” exhibits; Sulky’s Challenge Show for 2001; “Women of Biblical Proportion”; “Myths and Legends,” the “Journal Quilt Exhibitions,” “Tactile Architecture,”; the Page-Walker’s “ArtQuilts Water”; IQA’s “Celebrate Spring;” “Dare to Dance”; several Sacred Threads and Tactile Architecture shows; and AQS and IQA Shows almost annually. I have been a teacher, special lecturer and Featured Artist at Empty Spools’ Conference at Asilomar and Sampler demonstrator at West Coast Quilter’s Conference and C&T Teacher’s Retreat, was the Featured Quilter at the Great Petaluma Quilt Show, Modesto Quilt Show, Pajaro Valley Quilt Show, Haute Couture Fashion Show, and others. I was featured on Simply Quilt’s show #762. My work has been shown at the Fairfield Art Show, Livermore Art Show, Concord Art Gallery, San Jose Quilt Museum, the Hyde Gallery, the Page-Walker Museum, and the New Pieces Gallery. My quilts have appeared in several books, including: Joen Wolfrom’s - Visual Dance; Charlotte Warr-Andersen’s - Faces and Places; Katie Pasquini’s Fractured Landscapes; and Oxmoor House’s - Great American Quilts Book IV, Mickey Lawler’s Skydyes, Sylvia Landman’s Quilting for Fun and Profit and Pricing Your Quilts and Crafts, and Jennifer Priestly’s Fabric Painting, A Page From My Book Journal Quilts 2002, and Mary Kerr’s Cutting Edge Art Quilts. My work has also appeared in several magazines. A “Patchwork Profile” interview about my work was published in the August 1996 issue of McCall’s Quilting, Quilter’s Newsletter published my article “Tiny Trees” in their January/February 1997 issue and republished it in their CD in 2001. Quilter’s Newsletter also published my Quilter’s Forum entitled “If You Build it, They Will Come” in the April 1999 issue; American Quilter for Fall 1997 contains my article “Shifting Gears,” and “Celebrating a City” in Summer, 2001. Quilting Quarterly, published articles about my work in their Spring, 1998 and Spring, 1999 issues. American Quilting, Quilter’s Newsletter, Quilting Today, Quilting Quarterly, Patchwork and Lady’s Circle Patchwork Quilts have also published many pictures of my work. 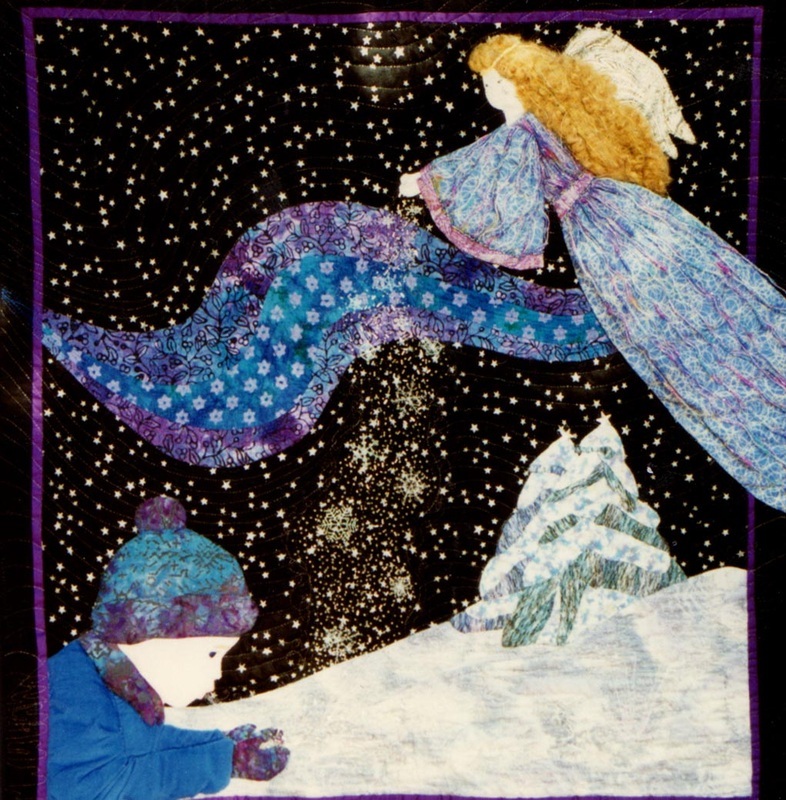 I have also had 4 articles published in England, in Traplet Publication’s Patchwork magazine in 2000 & 2001; and Quilting Arts magazine Winter 2006, printed my "Expand Your Repertoire" article, and Machine Quilting’s editor featured one of my quilts as one of her favorites in 2009.